Bryan Cranston wears Old Focals Founder eyeglasses in the movie Trumbo. 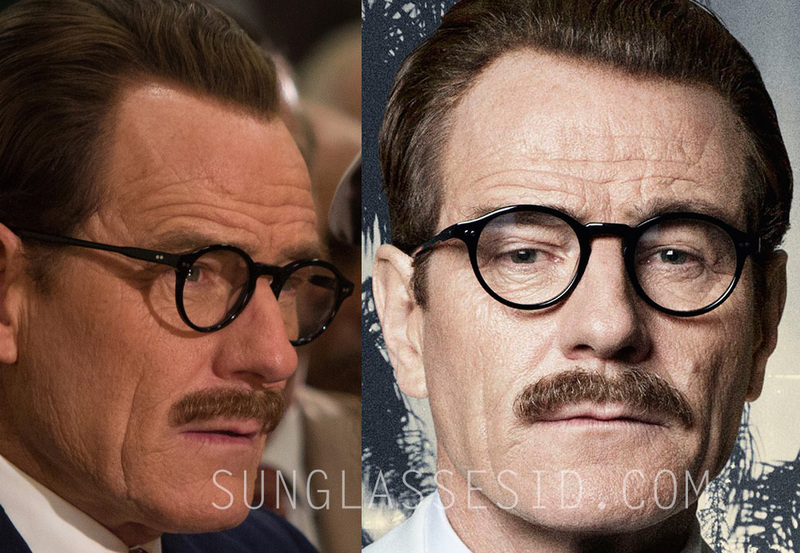 Bryan Cranston wears black Old Focals Founder eyeglasses in the 2015 biographical movie Trumbo. The glasses can be clearly seen on the posters as well as in the film, in which Cranston plays screenwriter Dalton Trumbo. These vintage looking frames have circular silver rivets on the fronts and temples and a keyhole bridge. The design is inspired by army issued frames from World War II. Old Focals is based in Los Angeles and provides vintage eyewear to films and tv series, and also has its own range of eyewear, of which this Founder model is a part of. The Old Focals Founder is available in the Old Focals website for $149.